After malls and destination stores, ita��s the turn of the bazaar to be reinvented, offering music, food and eco-friendly products. An old idea is taking hold in Chennai, the mecca for silks, textiles, temple gold jewellery, and everybodya��s invited. Even while we soak up the prestige of global brands like Louis Vuitton and the attractions of swanky shopping malls like Phoenix Market City and the pricier Bergamo, there is a growing interest in flea markets and bazaars that celebrate all things handmade, eco friendly, or second hand. Thanks to Facebook and other social platforms, the word is spreading about these communal market spaces. With Facebook, a physical store is no longer required and getting a stall at local fairs costs anywhere between Rs 5,000 and Rs 10,000. a�?For those retailing jewellery and clothes, this is a reasonable amount. Plus, they earn huge profits and get new clients,a�? says Sarah Natasha, founder of Facebook page, Chennai Shopping, and head of Full House Entertainment that organises Madras Market. We speak to the people who believe in giving Chennai a new experience and are entrepreneurs of a different kind. Known for her FB group, Chennai Shopping, and Madras Market at Wesley Grounds, Natasha can be credited for introducing another facet to Chennaia��s retail sector. a�?Chennai Shopping (with over 34,000 members) has encouraged individuals and entrepreneurs to start their own enterprise and bring out their hidden talent,a�? says Natasha, who heads events under Full House Entertainment (part of Global Remote Oil and Gas Company). With exhibitions earlier restricted to Chennai Trade Centre and Valluvar Kottam, she was wary about the reception to a a�?marketa�� that combined shopping and entertainment. a�?It was not about the money. We wanted to give the city something new,a�? shares Natasha, who plans to take the event elsewhere and soon introduce stand up comedians and dance programmes. a�?Coimbatore has a college going crowd. So it will be a huge hit there,a�? says Natasha, whose client base is between 20 and 45 years, a�?from college-goers to socialites.a�?For the young, affordability is key. a�?The kind of stuff we sell at The Madras Marketa��kitsch home dA�cor, apparel and funky printsa��will interest this age group,a�? she feels, adding that jewellery as well as workshops for children were popular at the earlier bazaars. 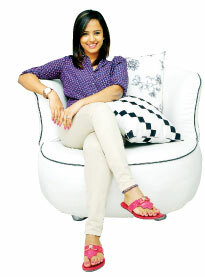 The Madras Market, being an outdoor proposition, is a costly affair, so Natasha prefers taking calculated risks. a�?Timings of the events, parking, accessibility, ticket and vendors need to be taken into consideration,a�? explains the former psychologist, who is now pursuing a distance MBA at Symbiosis Pune. Her experience at previous companies (Young Buzz, Ma Foi and Tata Realty) armed her with marketing and managerial skills, which she has put to use. It explains her ease with Facebook contests for The Madras Market. Their company is also producing a movie, a romantic thriller Manadhil Maayam Seidhai,A�scheduled to release this year and they are in talks with international rock band Coldplay for a concert in the city soon. 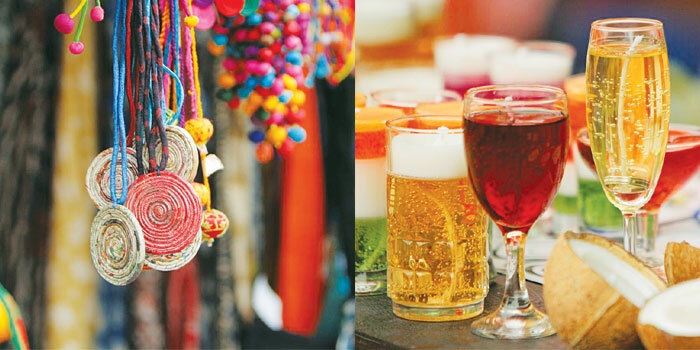 The next edition of The Madras Market is on January 25. One of the citya��s well known crafts fairs, By Hand From The Heart, has created a name for itself in two years. With 11 exhibitions, Deepa Sekar, 37, and Kshiti Davey, 45, have showcased products made from palm leaves, terrariums and more. a�?Chennai was just waiting for such avenues. We did get a few NRIs applications too. Thata��s a positive sign. People regard Chennai as a hub for shopping and we are glad to be a part of this cultural vein,a�? says Davey. She says todaya��s customer wants something exclusive. a�?The tag for todaya��s shopping trend is a�?exclusively handmade designer creationsa��a��be it a piece of jewellery or a designer cupcake,a�? says Davey who founded this group with Sekar. That said, their workshops have received a lukewarm response. a�?The do-it-yourself culture has to be revived. Organising workshops is the key. The thumb rule for craft revival is to engage people with such workshopsa��we will be at it,a�? she says. Their next show is scheduled for December. Launched in May 2012, the Moore Market was set up by Santhosh Subrama-nian and friend Sujata Vijay, to a�?get rid of his old stuff.a�? The group now has well known faces like Suhasini Mani Ratnam, singer Chinmayi and photographer Sharad Haksar. a�?Chinmayi got rid of her old furniture at a good price over here,a�? says Vijay, also the founder of Bamboola playschool in Raja Annamalai Puram. She plans to organise a flea market in December. a�?For my school, I got an entire set of playschool equipment (books, see saws, slide and more) at Rs 20,000. In the regular market, it would have easily cost me Rs 60,000,a�? she confesses. She adds that typically, students scout for books on GRE and electronic gadgets, while professionals strike good deals on furniture and sports equipment. a�?There was this lady who sold antique furniture at a fabulous price.Another unusual item, quite in demand, was Afghan-stained glass work,a�? she offers. The page encourages us to reuse products. a�?a�?Someone collected over 100 discarded CDs from a group for their Navratri decorations,a�? says Vijay, who is also open to a�?freea��-cycling. a�?I gave away a guitar my son was not using, CBSE books and tyres which were reused as swings.a�? Shilpa Mitha started the FB group, Chennai Crafters, last August, and it now has more than 850 members, thanks to the success of their crafts fair Urban Hands (at Forum Vijaya Mall in September). Whether ita��s jewellery made out of PET bottles, fabric bags, crocheted baby booties and accessories or paper quilling, they are being lapped up by consumers. a�?Many shoppers were taken by surprise with our products at the mall,a�? says Mitha, who wants Chennai to have its own festival like Bangalorea��s Kitsch Mandi, known for its handmade products, food and music. She and adminstrators like Vineetha Naval are selective about members and make sure the group is free of business promotions. a�?We try to handpick a craft from each category and hold monthly craft challenges,a�? offers the sound engineer-turned-clay artist, who is known for her handmade fridge magnets. She lists paper crafts from Memoirs and original stained glass from Kamala Ravikumar as out-of-the-box items. Noting an interest among Chennai stay-at-home mums to create products, she says, a�?The credit has to be given to FB group Chennai Shopping for providing a platform. People who have lived abroad are looking for something beyond the usual shopping experience. The city will be more open to our fairs once awareness spreads.a�? This December, Anusha Alagiri from the event management company Nefertari, brings Weekend Sandhai, a�?a village fair in an urban set up.a�? The CEO, who is aware of the comparisons being made with The Madras Market, says, a�?We are trying to recreate the typical (traditional) sandhai you have in Madurai with masala appalams, goli soda, bangle stalls and cotton candy bars. It will be differenta��something Chennai has never seen beforea��and will have the drama of Alice In Wonderland. 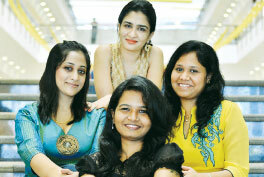 The wife of producer Dayanidhi Alagiri conceptualised this event last year when she formed her company, Nefertari. a�?I wanted Chennai to have something like Soul Sante. But I was advised to conduct indoor events then move into property. It was important to get some visibility and experience before coming out with Weekend Sandhai,a�? explains Anusha who got vendors like Ashvita, Lloyda��s Tea House, Pink Jalebi and Sandya��s on board, without any marketing. She plans to have 50 stalls offering clothing, home dA�cor products, as well as a photo booth. a�?Each year, the theme will be new. We wona��t have more than 100 stalls as I want people to unwind and yet have time to visit all the stores,a�? says the law graduate who believes that being street smart, not an MBA degree, is the key to being successful.